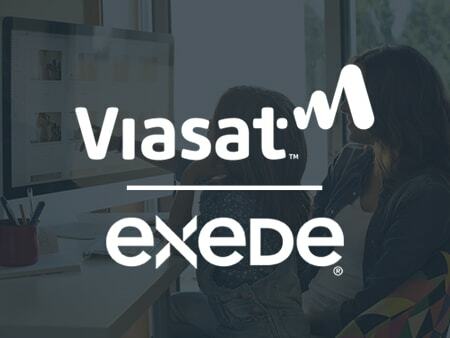 If you’re looking for fast satellite internet that easily reaches remote areas and provides plenty of data, Viasat (formerly Exede) could be perfect for you. The recently launched ViaSat-2 satellite system has the potential to provide unbeatable speeds and unlimited data to rural customers. However, due to low availability of these new plans, most customers will have to settle for industry-standard satellite speeds and typical data limits. *Prices vary based on location. The majority will have the above plans available to them. Viasat offers two main sets of internet packages: Liberty Plans and Unlimited Plans. Whether these internet packages are available to you will depend on your location. The Liberty Plans are the most widely available Viasat packages. All of these plans offer the same download speeds of up to 12 Mbps in most areas and 25 Mbps in some areas. Even 12 Mbps is an impressive alternative to DSL internet and 4 G/LTE mobile plans. New customers can enjoy a discount during their first three months of service. After this, monthly prices increase by at least $20. It sounds tempting to enjoy a discount for three months and move on. However, all Viasat plans require a 24-month commitment and you will be charged substantial fees if you cancel early. Viasat guarantees your monthly internet bill won’t go up for at least two years. The three Liberty Plans are tiered according to monthly Priority Data limits of 12 GB, 25 GB, and 50 GB. These data limits may not seem like much to someone who is used to cable internet, but they’re typical for satellite internet. In comparison, HughesNet offers similar data plans ranging from 10 GB to 50 GB per month. Viasat refers to these monthly data allowances as Priority Data. If you reach your limit, you won’t be cut off from using the internet completely. Instead, you can continue to use additional data from the Viasat Liberty Pass at significantly slower speeds. The Liberty Pass’s throttled speeds tend to fall between 1 and 5 Mbps which will limit your internet activities to light browsing and email. You can expect even slower speeds during peak hours (5 pm to 2 am). If throttled speeds are a concern, you can purchase additional Priority Data for $10 per GB. This will return your regular service speeds immediately. Customers can get a bit of a discount if they buy at least 5 GB at a time. Just keep in mind that this additional data expires at the end of the month. So, don’t buy more than you need! If you find that you’re adding data month after month, we suggest upgrading your plan. No hard data caps - stay connected on the Viasat Liberty Pass. *Prices vary based on location. Viasat’s unlimited plans are only available in a few select markets. Following the recent launch of their new satellite, Viasat began offering ground-breaking Unlimited Plans. These plans boast unlimited data and some of the fastest download speeds available over satellite internet. Their highest-end tier, the Unlimited Platinum 100, advertises speeds of up to 100 Mbps. However, this comes at a hefty monthly price of $200/month. Along with steep prices, these plans aren’t widely available. Viasat is working on broadening their reach with these offers, and current customers will be able to upgrade in the future. Like the Liberty Plans, Viasat’s Unlimited Plans are offered at promotional prices for your first 3 months. As usual, unlimited data sounds too good to be true. After reading through the fine print, it’s apparent that Viasat may prioritize other customer’s data over yours once you use 40, 60, 100, and 150 GB of data on each respective plan. This is in an effort to reduce network congestion. So, although your data is unlimited, you may experience slower speeds if you use too much. Satellite internet is the best option if you do not have dsl, cable or fiber available in your area. All Viasat customers will receive a modem for a monthly equipment fee. This modem may or may not include a built-in router depending on regional availability. If the Viasat WiFi Modem is not available to you and you want to connect your wireless devices, then you will have to purchase a router elsewhere. Most customers can add the Viasat WiFi Modem to any plan for an additional $5 per month. The modem includes a wireless router, an Ethernet connection, and a Voice adapter which is useful if you’ll also be using it for home phone services. The modem has advanced dual-band frequencies of 2.4 GHz and 5 GHz connections. These signal options let you choose the strongest connection for your devices. The modem also includes wireless security features and a separate guest network, so you can keep your home network secure. A local certified technician will install and set up your modem for you. All Viasat customers are required to lease a satellite dish and a modem for a total fee of $9.99 per month. You can alternatively choose to pre-pay $299.99 for the lifetime of the equipment. Either way, the equipment must be returned when you cancel your service. The position of your satellite is important to consider before you can make use of your equipment. Viasat’s satellite internet service requires a clear view of the southern sky to establish an unobstructed connection with your home satellite dish. Viasat advertises free installation to new Viasat Internet customers in limited areas. Some customers will have to pay for installation themselves. If you are eligible for this free perk, you will receive an instant rebate for the installation as a credit on your first Viasat bill. A local technician will come to your home and test the signal strengths around your house. Then, they will suggest the best location for your satellite dish. The satellite dish can be mounted on a wall, roof, or pole near your house as long as it can face the southern sky unobstructed. The technician will also install the modem in your home and get internet set up for you. All Viasat customers have access to the Free Zone. This is a time period between 3 am and 6 am when you can use as much data as you like, and it won’t count against your Priority Data usage for the month. For example, if you’re paying for 25 GB of data per month and you use 10 GB during the Free Zone, you will still have 25 GB available on your plan. This is a great way to conduct software updates for your computer or download movies without using up plan data. You can even enjoy the Free Zone after you’ve used up your monthly Priority Data. The Free Zone is not available to customers on Unlimited Data plans. Get unlimited additional plan data during the Viasat Free Zone. Viasat customers have the option to minimize their data usage with the Viasat Browser. The browser uses artificial intelligence to load pages faster and more efficiently. It also has an add-block feature which will help cut down on your data usage. Get all required service calls without a charge. These are normally $95 per visit. Annual dish relocation to a new location at the same address. This may be useful if you’re remodeling or landscaping. There's no hard cap on data & will not lose your connection or be charged extra. Viasat automatically streams video at DVD quality so videos use less of your monthly Priority Data. This feature optimizes videos at 480p to cut down on data usage. You can choose to enable or disable this in your account settings as often as you like. If you don’t really care about watching videos in the highest quality possible, we recommend enabling this feature to stretch your monthly data as far as possible. For example, an HD video stream can use 1.3 GB of data in an hour while the same hour-long stream at 480p can use as little 0.5 GB. You likely won’t even notice the difference in video quality on smartphones and tablets. You must suspend your service for at least 2 months. When suspended, you will be charged $9.99/month plus your lease fee. The Hibernation Plan may not be available to all customers. Any discounts from bundling with DirecTV or Voice will be permanently forfeited. Pay less while you’re away by suspending your service for up to 6 months per year. Viasat’s customer service team can be reached by phone, email, or instant chat. If you’re old-fashioned, you can even send a written letter to the Viasat Vice President of Customer Service. The general consensus among Viasat customers is that customer support is polite and knowledgeable. However, some people have felt misled by service agents and state that customer service could use an improvement. You may be able to find DIY support for your problems on the Viasat help pages. The Viasat website is full of helpful articles and contains a community forum where customers can ask questions and help each other out. You can also sign up for text alerts which will allow you to check data usage, troubleshoot, and get notifications about your service in real time. Viasat customers have the option of bundling their internet packages with DirecTV or Voice phone plans to save $10 per month. This is a great way to get all of your household telecommunications services in just one place. Viasat honors a 2-year Price Lock Guarantee, which means that your standard monthly internet fee and equipment lease prices cannot be increased during this time. However, this also means that you’re locked into a 24-month contract. If you cancel your service agreement before this time is up, you will be charged a fee of $15 for each month left in your service term. It may be more economical to pre-pay for the lifetime of your equipment than to pay the monthly lease fee. If you see yourself staying with Viasat for 3 or more years, it is cheaper to pay $299.99 for the equipment outright. However, if you cancel your service after only 24 months then it is cheaper to pay the $9.99 monthly lease. Long-term customers can save money by purchasing equipment instead of leasing. You can change your Viasat plan free of charge at any time after your first 30 days. So, there is no reason to keep paying for a plan that provides more data than you need. You may also save money by upgrading your plan if you’re spending more than $20 purchasing additional data each month. Viasat offers a great internet alternative to people in rural areas where faster options aren’t available. Their Liberty Plans provide typical satellite speeds and a generous Free Zone to supplement monthly Priority Data. Furthermore, the company’s new Unlimited Plans have the potential to offer super-fast speeds to people who are willing to pay the expensive price tag. However, these plans are only available in a few select areas. Due to gaps in country-wide coverage and slow congested peak hours, Viasat may not be the ideal choice for people who have other options. Overall, it’s worth giving Viasat a try if you’re in the market for satellite internet. Especially if you’re in a region where 25 Mbps speeds or higher are available. The basic ISP service has been good. The connection is inherently subject to interruption by heavy weather, but the availability of the satellite communications function itself has been reliable. The issue with features and customer service is that, while the VIASAT technical support people have been outstanding on the one or two occasions I’ve managed to get to them, I have found it inordinately difficult to get to them through the lower tier Exede service. I attribute this to the fact that many of the features of the service that was provided directly by the entity we first contracted with, Wildblue,net, now appear to have been outsourced to third parties. Specific examples are access control to on line account management and email server functions. A recurring periodic problem is e-mails to specific domains being rejected. In some cases, notice of the failure is not returned for four days, and the failure is incorrectly identified as a permanent error. In every case to date that I’ve taken the time to look at, the outgoing server has listed on one of more blacklists. Blacklisting of dynamic IP addresses, which are shared by a number of users, is common, and there are relatively straightforward, routine steps that the e-mail service provider can take to de-list the address in real-time. But I have found it virtually impossible to negotiate the multiple tiers of exede/Viasat support to the entity responsible for maintaining the e-mail service. VIASAT is not unique. The use of third party providers is common practice. The arrangements between the primary service and the third party providers are defined by contract. The effect of this is that the service personnel for the company with whom the customer has a contract often have no more access or control to the third party service provider than the customer. Services are also affected by unintended consequences of design decisions and updates from a myriad of IT providers over whom they have no effective control. Again, VIASAT is not unique. Anyone who uses Windows and connects Via Ethernet to a metered internet access point has the problem of managing data use. In fact, exede/Viasat have been forthcoming in their efforts to mitigate this problem. Thanks for your review and for the info regarding the correct contact for written complaints. Hope this helps. So bad, don’t do it. Signed up with them @ 12Mbps trying to improve over Century Link’s 3Mbps…1/2 the devices wouldn’t even stream videos, didn’t matter if tablet, phone or laptop. Latency is so bad for anything online and never talked about during sales pitch. Attempts to contact customer service went nowhere “give it a few more days”, then when calling to cancel service after 3 weeks was told liable for contract cancellation fees because they needed more time to fix problem. We’ve tried to use the service but it is a way to slow, the speed sometimes drops to 1-2 mbs compared to the offered speed of 15mbs. We didn’t notice that the contract says “up to” 15mbs so we suppose to pay a termination fee. Let me start with I am sending this while connecting to the internet using my phone. NOT Viasat Internet Services. I hope this finds one person and helps them to avoid this service all together. First off the tech missed the installation appointment and nobody with Viasat bothered to tell me until I called twice to find out they rescheduled me for installation the next day. Only problem is I am a working adult who you know had to be at work. After rescheduling for a time which works for me, the install was supposed to take 2 hours. After hour 4 the service was finally installed. This is the part where I wish I could say the problems end, but I can find nothing good to report about this service. I cannot watch a YouTube video on the lowest resolution without constant buffering. My Satellite TV service will not even connect to the internet due to the poor quality, so no streaming movies. Now to the best part. After 2 months of service my internet has been spotty at best. I have had to restart the modem multiple times. After the 4 to 5 minute restart time, the internet would stay up for about 3 minutes before going out again. This is why I am now using my cell phone as a hot spot in place of Viasat. Sadly my internet speeds are faster using my phone to connect than the best service I have received while connected to Viasat. So please if this helps one person to avoid this service it is worth the time spent writing this. DON’T DON’T DON’T just DON’T !!! DON’T even think about getting Viasat. Their satellite is over the middle of the Atlantic Ocean. The ping is 650ms so when you start clicking on your open page you will be waiting 0.6 to 1.2 seconds before anything starts to download. Try to watch a movie or any other streamed program and you will be watching the little circle spin as it buffers continuously. Live gaming……….they won’t even let you on their gaming sites with that 650 ping. It slows down everything else on your computer when you are online. Got rid of Viasat and everything works good now…again. Their service will drop offline on average at least once per day. They advertise 30Mb download but this only happens during off peak times and when you aren’t being throttled or prioritized. I have had downloads as slow as 0.9Mb. Their upload speed is not advertised anywhere on their web page. It is 1.0Mb …PERIOD. After you are totally disgusted with their pathetic performance they WILL NOT give you ‘satisfaction or your money back’. They will keep $15/mo for the entire 24 month period or for the months you don’t stay with them. It cost me $330 to get rid of them but it was worth it to get rid of their agonizing service. Wish I’d found these reviews beforehand. I had searched but only found positive magazine reviews…..as in places where Viasat / Exede advertises. Don’t say you haven’t been WARNED !!! I live in a rural area, and I have been with Wild Blue, Exede, and now Viasat for several years. They are a huge improvement over the Can & String phone service we tried originally. It will go down in heavy overcast, just like my satellite TV. It is to be expected with a satellite. Customer service has always been acceptable. Service will slow down when kids are out of school in bad weather and are all on the computer. Overall I have been happy with their service. My cellphone has faster speeds than this awful company. They slow down your internet to nonfunctional speeds all the time. I can’t even send emails with attachments from home for work. This company should be sued for its criminal rates, and horrific service. A few stories to set the scene. Come out and fix the faulty equipment they installed. I argued that way then they said they would reimburse me for the time my Internet was out. I never saw the reimbursement. clearly that was a lie. That was about 3 weeks ago, and today my Internet has slowed to snail speeds again and I will have to do battle with those ridiculous customer service representatives who know nothing and I am guessing have been ordered to through as many roadblocks as possible. Find any other service. DO NOT USE VIASAT!